Woo hoo! 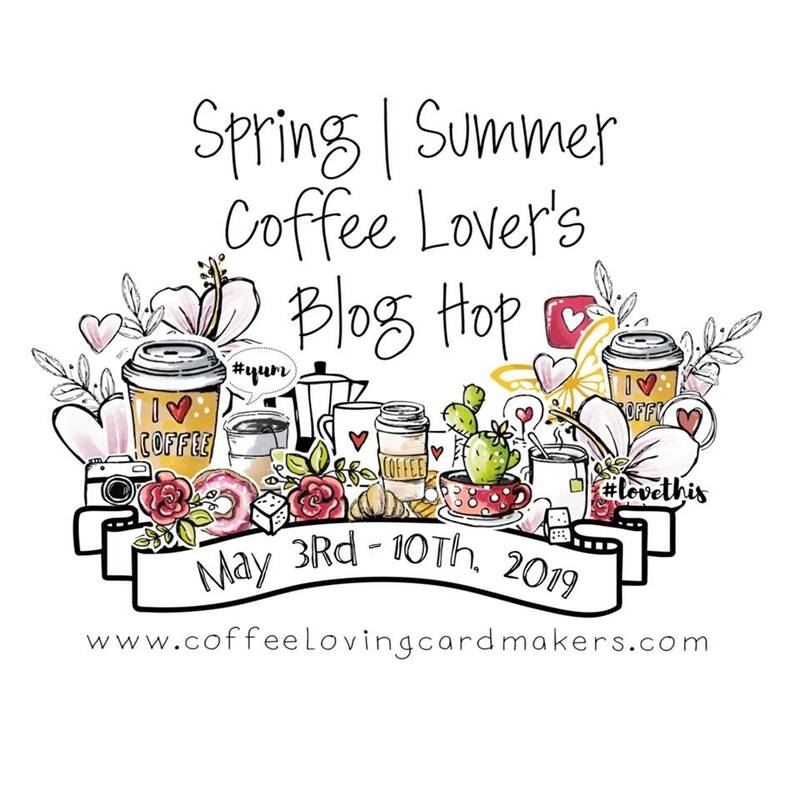 Today the Coffee Loving Cardmakers and The Rabbit Hole Designs are hopping together to show off two of the new stamp sets! 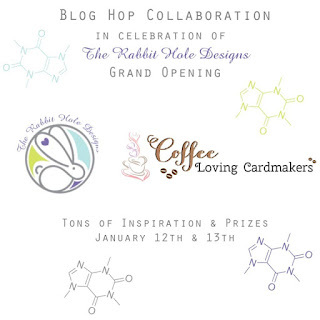 The Rabbit Hole Designs is a brand new stamp company and I'm so lucky to be joining in their celebration!! 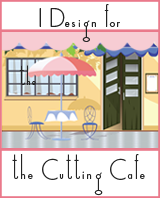 You should have come here from the Coffee Loving Cardmakers Blog! 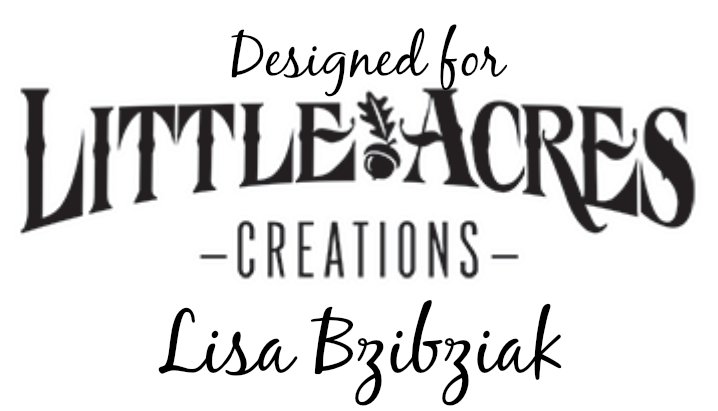 And if you get lost along the way you can return there for the complete hop list or head on over to The Rabbit Hole Designs for the hop list! You may have been enjoying the last few days of previews and yesterdays hop for the other two sets being released. So many chances to win some of these new sets! No exception today! Leave a comment by 11:59 pm PST on January 18th for your chance to win. 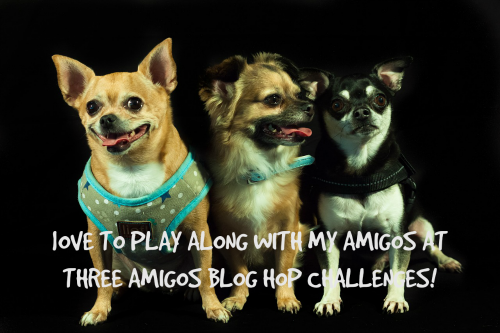 One winner will be chosen at random from the comments left on participating blogs, for the entirety of the hop, so make sure to visit each stop, each day and leave a comment. 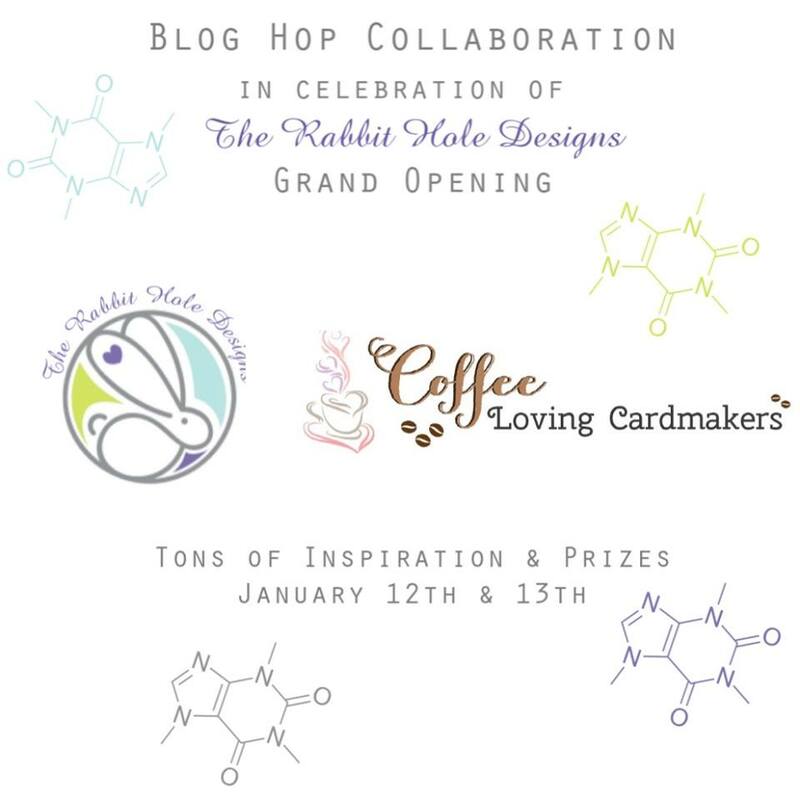 Winner will be announced on The Rabbit Hole Designs blog and the Coffee Loving Cardmaker's blog on January 21st! Wow, right??? And there were prizes offered on preview days too so be sure to visit all of the places for all of the days... get inspired and leave some love for chances to win! I decided to go with some different colors this time ... I love this aqua and purple combo and I think once she wakes up, she will too! I just love this sweet lady!! It's almost as if she was made to be resting on various objects... love the way her arms lay over the edges...lol! And all of those coffee cups!! I just love hashtag sentiments and love that each of these sets comes with one of them! I'm playing along with the "Something New" challenges at Cupcake Inspirations and Simon Says Stamp Monday Challenge today! I'm using a new stamp set from a new stamp company as well as new to me embossing powder and my new glitter Stickles! 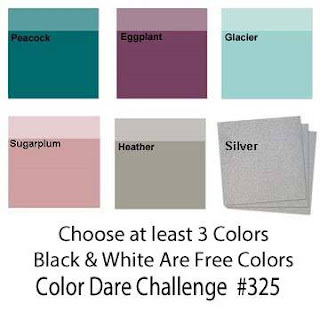 I'm also playing along over at the current challenge over at Color My Heart Color Dare... check out the colors below! 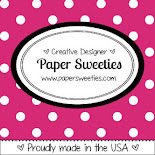 UPDATED: This little lady was a Sweet Select over at Cupcake Inspirations! Just LOVE her!! I hope you do too! Now you should make your way to Katie's Blog! You don't even realize it yet, but you can't wait to get there!...lol! Thanks so much for visiting and come back tomorrow for some more fun! 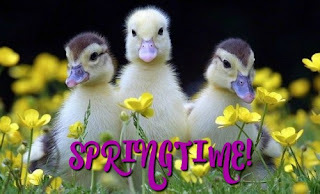 And don't forget! You can get free shipping on any US orders of $15 or more placed through the 16th! (some exclusions apply). eep! I adore this Lisa! Your coloring is WOW, the colors are perfect. The Octopus is my favorite and I really love your coloring! Amazing card Lisa! I am loving your octopus cards!! This one is my favorite! Adore it!! This is soooooooooooo fun! I love love love it!!!!! hehehe, LOVE! she reminds me of PigPen from Peanuts with a cloud of dust in his wake. Great color combo and I LOVE how she is resting on the sentiment!!! I love purple and green together. Such a great color combo. Your subtle background is super for the molecule image. Who would have thought of a molecule image? I love it! I'm loving all the detail you added to your octopus! Such a fun background as well! OMGosh I love this! Fabulous coloring and card design. 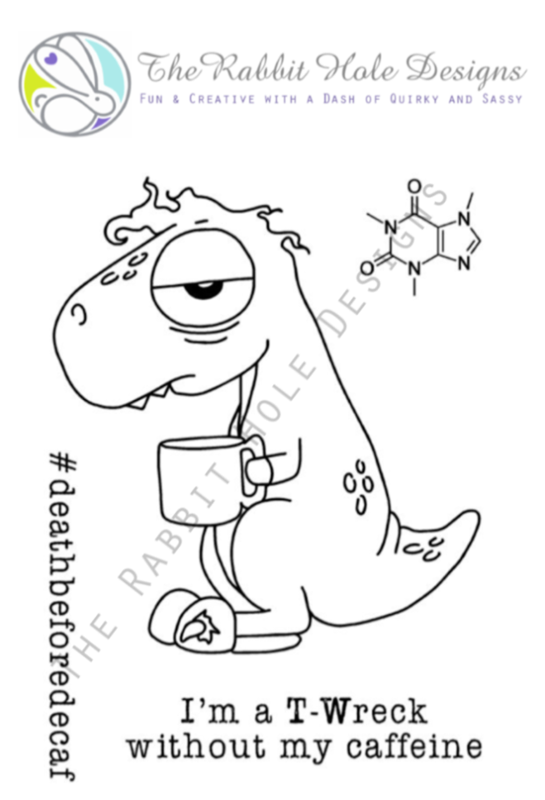 I'm NEEDING these stamps! Such fun! I love how you made the symbols look like bubbles sort of, and her dots on her "skin". LOVING your card! So gorgeous! I love the rich plum and teal and the shading is pure perfection! Adorable stamps and adorable card! I love the fun of these designs. The hashtags are awesome! 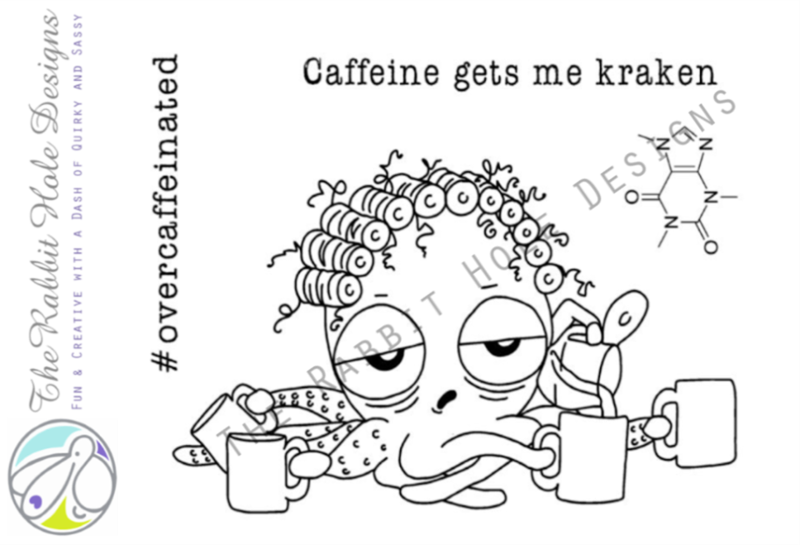 Love your octopus, eyes still at half mast even with all that coffee! Fabulous design, love your colouring too! Really cool card, thanks for the inspiration! PURPLE! My favorite color. Such cuteness. So fun and cute card. Every time I see this image it makes me smile. I love all the different ideas for using her. Love your coloring and the octopus image! Great card! This is flipping fabulous, Lisa! That background and your coloring! Thank you for being a part of our launch. 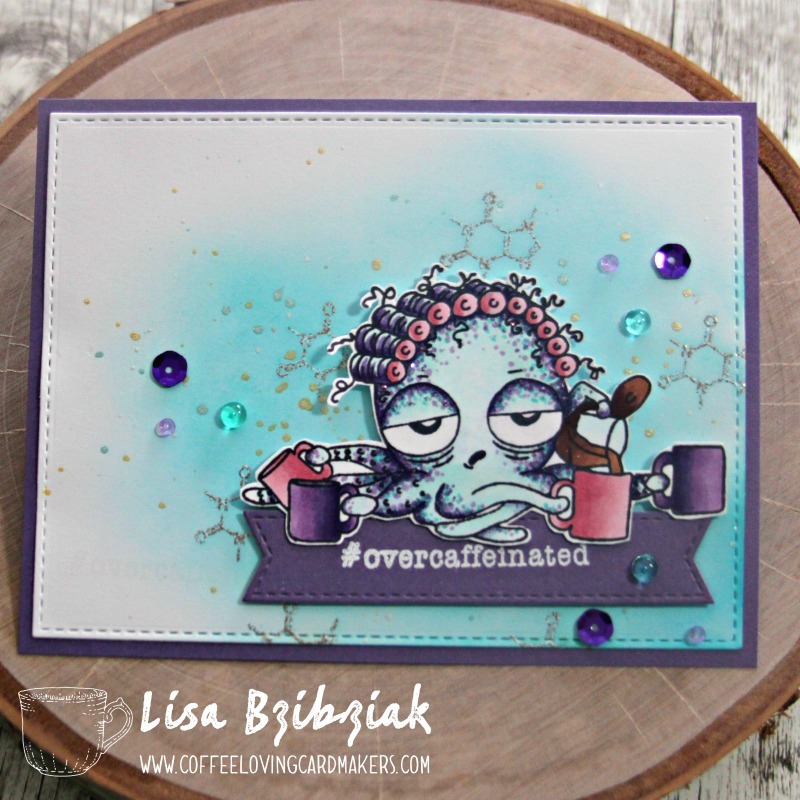 OMGosh Lisa, lovin' the background your created on your card....Fantastic fun stamps!! Just beautiful, Lisa!! Love the color combo very much. 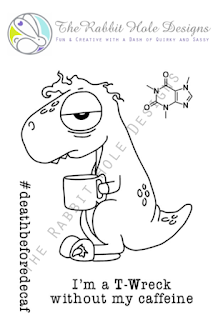 And a cute design, too. Such fun images! Love the backgrounds! 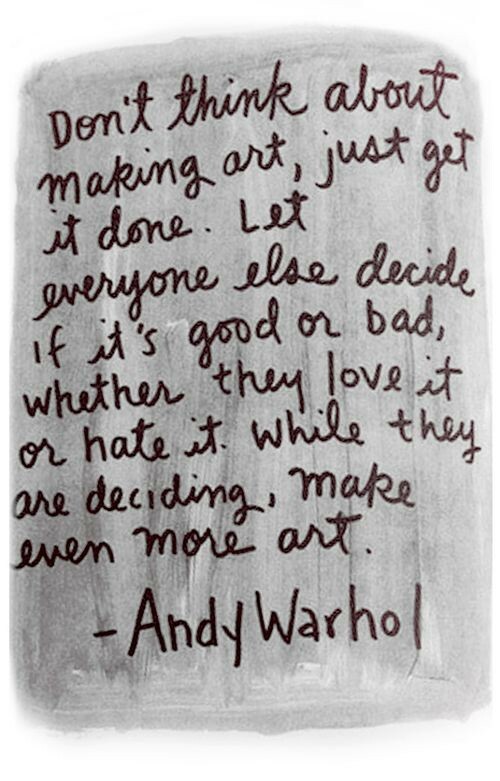 Love this so much. Beautiful colors and design. I bought this set. Love the aqua and purple colors, amazing card! 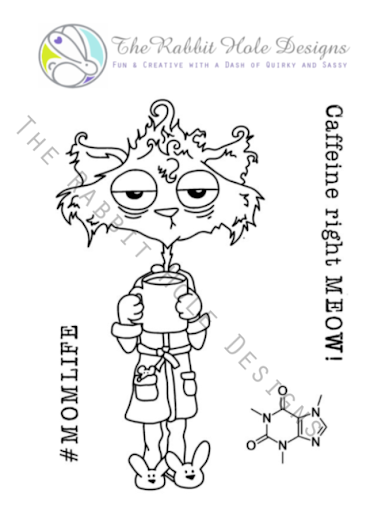 I love your beautiful background blend of color, and those tiny caffeine science in the back! 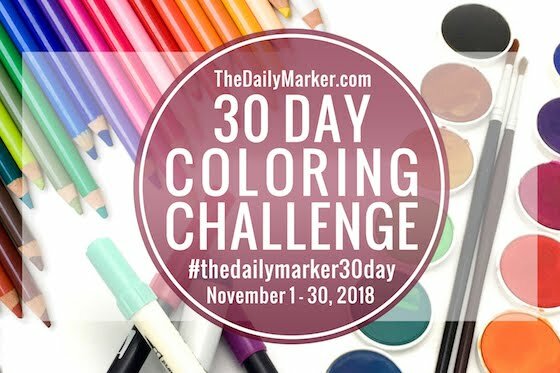 The colors are amazing and your card is darling! Love it! Great use of color, love rhe subtle backdrop! wow! love, love, love this card! great colors and bling accents! 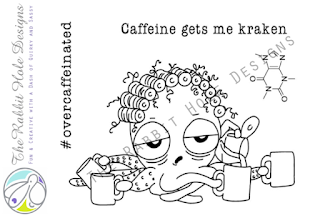 I positively LOVE all the colors and details you put into coloring that cute kraken!! Your card is fantastic!! Beautiful coloring and colors, and love how the sentiment banner doubles as a "table" too! Your coloring is wonderful. Love your card. I think we can all relate with that octopus at one time or another! Love the colors you chose & your coloring makes me drool. Thanks for sharing your talent at the CMH Color Dare challenge. Eee gads, these are just the cutest stamps! Your card featuring the octopus makes me smile. Wonderfully done! Thanks for sharing your talents with us at Cupcake Inspirations! Awww!!! This is stinkin' cute!!! Fabulous colouring!!! I love your cute card! You did a fantastic job coloring the image. 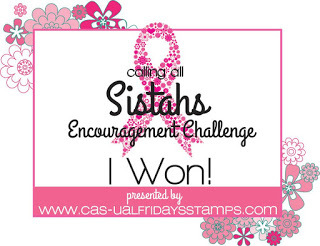 Thanks for Sharing at Color My Heart Color Dare. 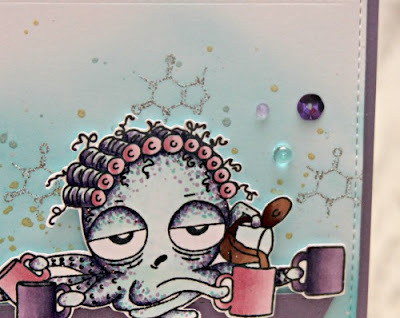 Such a fun card..Love your coloring so much.. and this octopus is so cute.. WOW!! 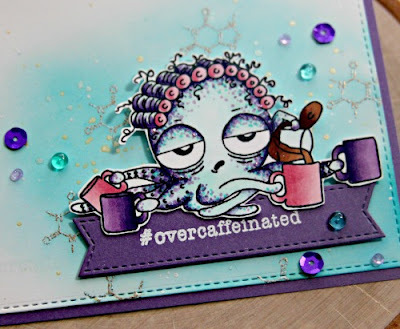 What an amazing background you have created for this coffee lovin' OctOmom!! 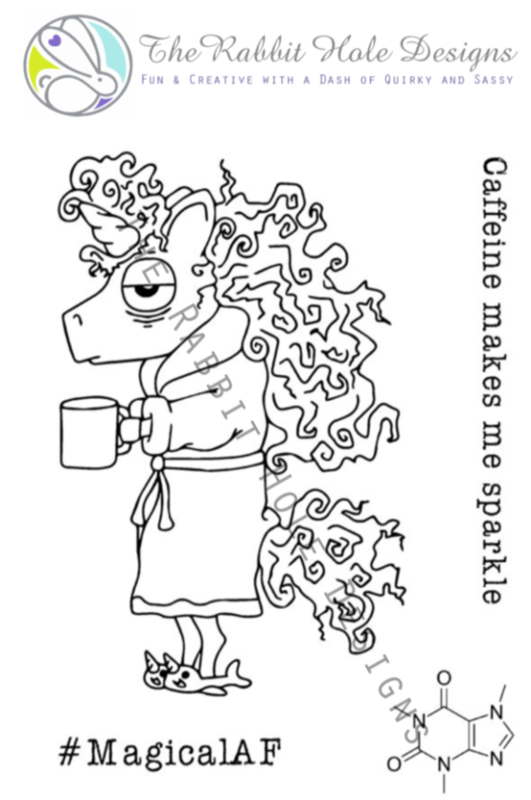 She surly needs the caffeine!! Wonderful card. 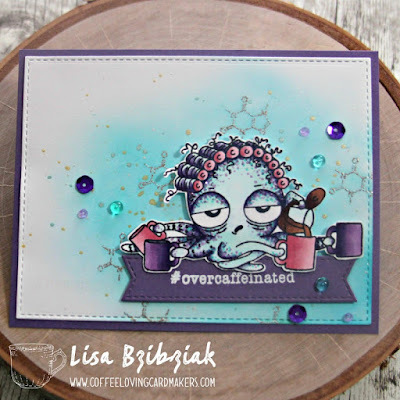 Love the background and your coloring on this fun stamp. This card made me smile, it really is so cute. Nicely done. Great coloring and bold choices of color for this crazy cute octopus. To think I used those rollers at night and they just came back with them, and I don't think I looked that cute in them. 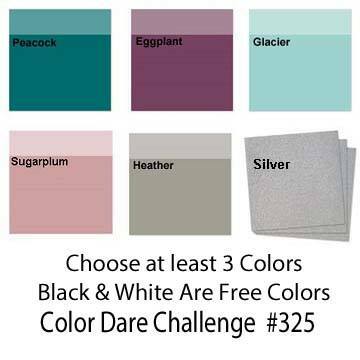 Thanks for sharing with us at Color Dare, and please come back for a real cool color challenge this Friday. 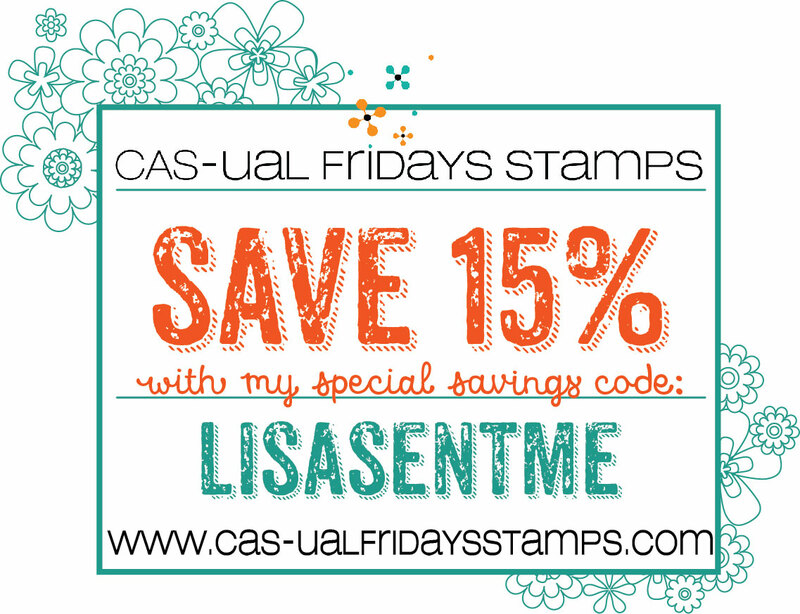 All of the sample cards using these awesome stamps are so creative! Your card is fantastic, Lisa! What a great scene. She might be my favorite. 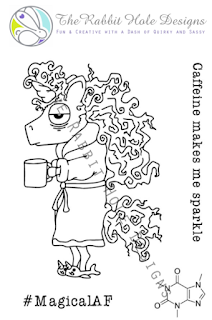 I think your mom looked like this before our Zoom call and her cup of coffee! Wonderful card and your coloring is so beautiful. What fun stamps!! Thank you for joining us at Color Dare!